Account Portal 14th April 2018 is a major release that contains a new feature in the Appspace Support Portal, which allows Account Owners to grant specific users permissions to access the Support page. Account Owners are now able to grant specific users, whom are non-Account Owners, permissions to access the Support Portal page. Account Owners are able to view all cases, and have the ability to filter cases based on the case creator. 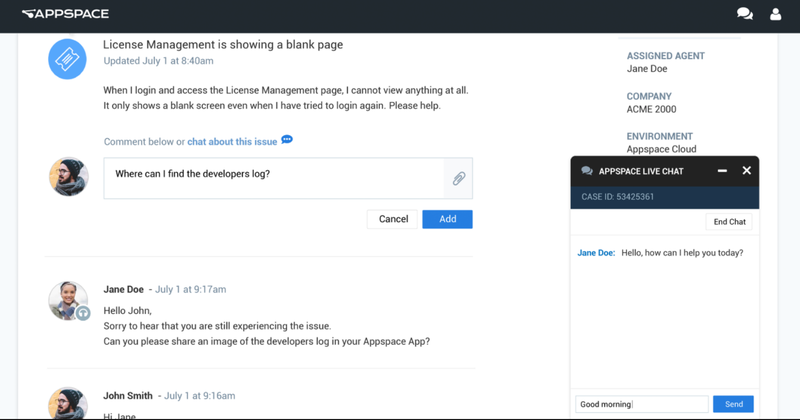 Users, whom are non-Account Owners, but have accessed to the Support Portal, have the ability to create, view, and manage cases that they created themselves.